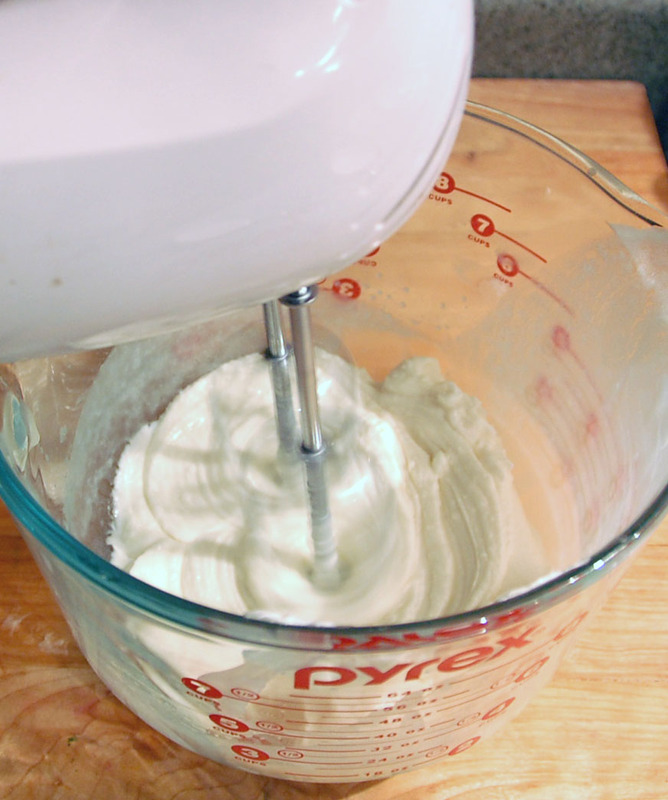 Here is an easy way to make a creamy moisturizer without the hassle of emulsifiers or preservatives (Note, there is no water in this recipe, so no need to worry about it growing bacteria). The recipe comes from Life at Cobble Hill Farm, I have simply modified it slightly to hasten the process and added some guiding information. 6 oz shea butter (or avocado butter, mango butter, etc.) Note: Not all “butters” are true butters, check the ingredients. Products like “blueberry butter,” “pistachio butter” and “coffee butter” are actually made from hydrogenated vegetable oil. Step 2: Melt ingredients on low setting in a crockpot or in a microwave on 50% power for 2-3 minutes. This time may vary, make sure that the cocoa butter is completely melted or the final product can be gritty. 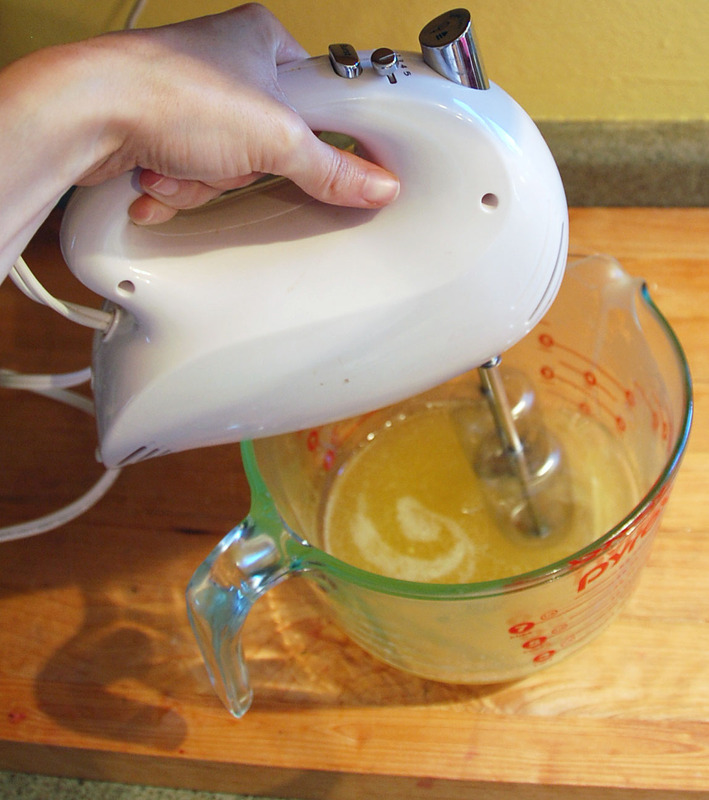 Step 3: Add essential oil and vitamin E from capsules (optional), mix combined ingredients with a hand mixer. Step 4: Refrigerate until the mixture hardens. Alternatively you can cool the mixture over an ice water bath and mix as you go, but I found that refrigerating the mixture and then microwaving it briefly was much faster. Step 5: Microwave for 10 seconds to soften. 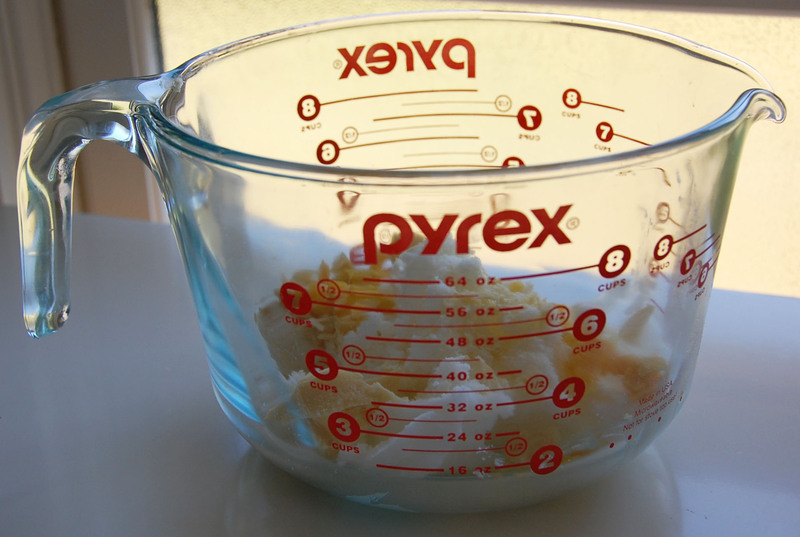 Step 6: Mix until stiff peaks form and spoon into jars. Voila! Convenient, ultra-healing moisture without any broad-spectrum preservatives found in conventional creams.